When in Iceland there are a number of things that you can expect to see with ice, mountains and volcanoes being the obvious choices. 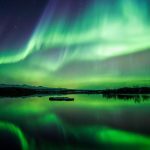 Combine them all together on your itinerary however and in Iceland you will be on your way to seeing some of the country’s incredible glaciers. 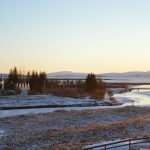 On our last trip to Reykjavik we did exactly that by booking ourselves onto one of Iceland’s South Island Tours with Reykjavik Sightseeing. This took us to some incredible sights with one of the highlights being the Sólheimajökull glacier… just don’t ask us to try and pronounce it! From Reykjavik the Sólheimajökull glacier is around 100 miles (160km) away on the south of the island so it will take you a good 2 hours to get there (Google Maps route). 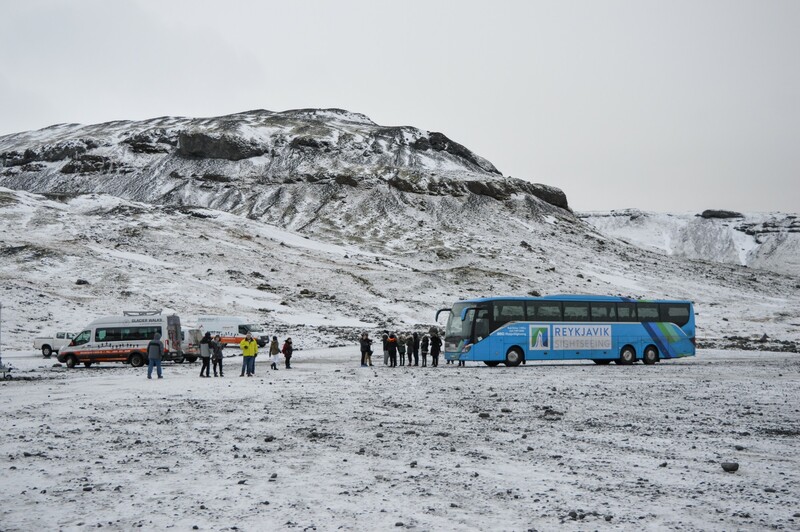 For this reason we thought a coach tour would be a good way to see it as you don’t have to worry about the long drive and will have numerous scheduled stops along the route. 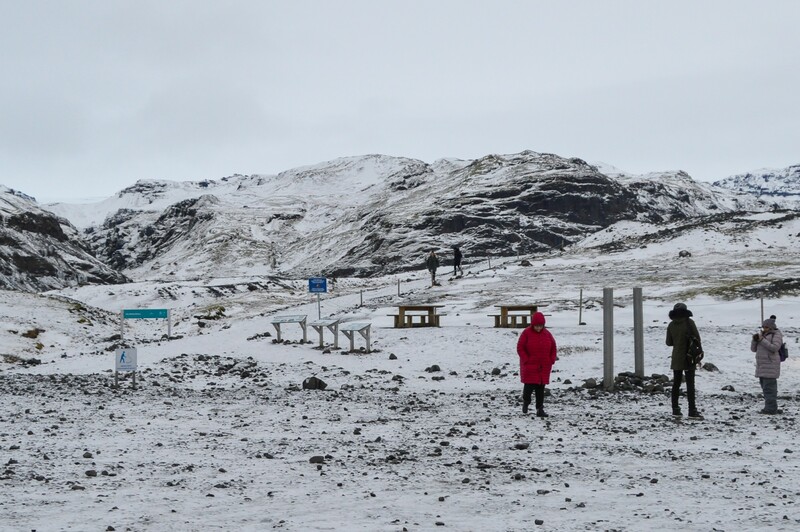 On arrival at Sólheimajökull there is a large car park with a cafe, toilet facilities and information boards to read nearby. 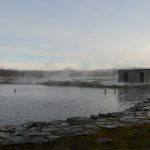 We were in Iceland for this visit in November and with only around 5 hours of what I would loosely describe as ‘sunlight’ each day, the temperatures were between -10 and +3 degrees. Cold! 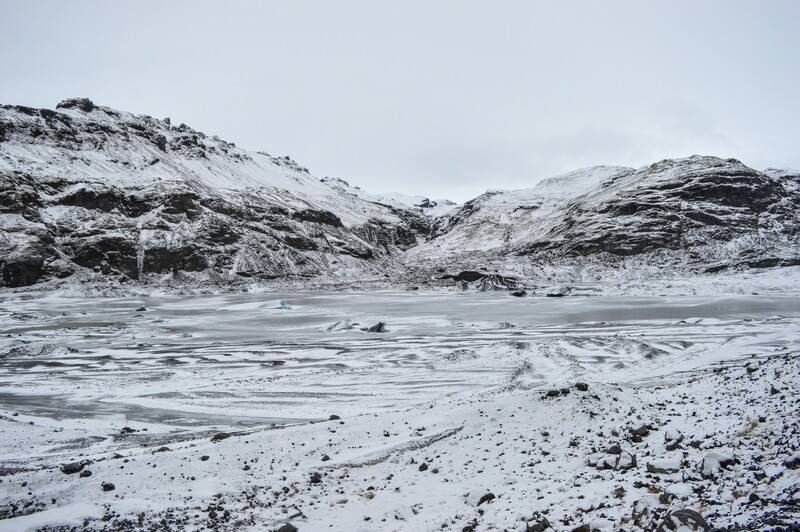 The sustained cold weather meant that the car park, like the entire hiking trail to the glacier, was incredibly slippery under foot with a lot of large patches of sheet ice. If you are planning a trip here during the cold winter months please, please be extremely careful! We had come prepared with hiking boots on for extra grip and ankle support and we were still struggling. A lot of people on our trip turned up wearing trainers which for this location is completely inappropriate, they were constantly falling over. So mark my words, you will struggle in that type of footwear. Get some sturdy boots or get some crampons. The last thing you want to do here is twist your ankle or worse and ruin your holiday. 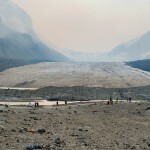 From the car park you make your way along a narrow path which takes you all the way to the glacier. With the uneven and icy surface the going is quite slow so the hike to the glacier ended up taking us around 30 minutes. The biggest obstacle on the hike is the icy nature of it and trying to keep your footing. There were a few areas that were rocky and uneven but for the most part the route is completely accessible. I would expect that when the weather warms up here you would have no issues at all hiking the trail. 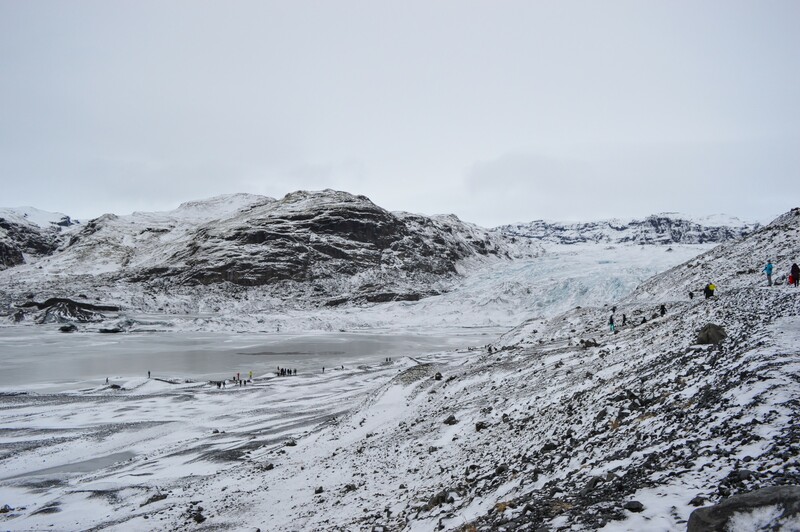 As you walk along the incline closer to the glacier you’ll see the landscape change to the point where you are completely surrounded by the most beautiful icy landscape. It looked like it was straight out of a Game of Thrones set! 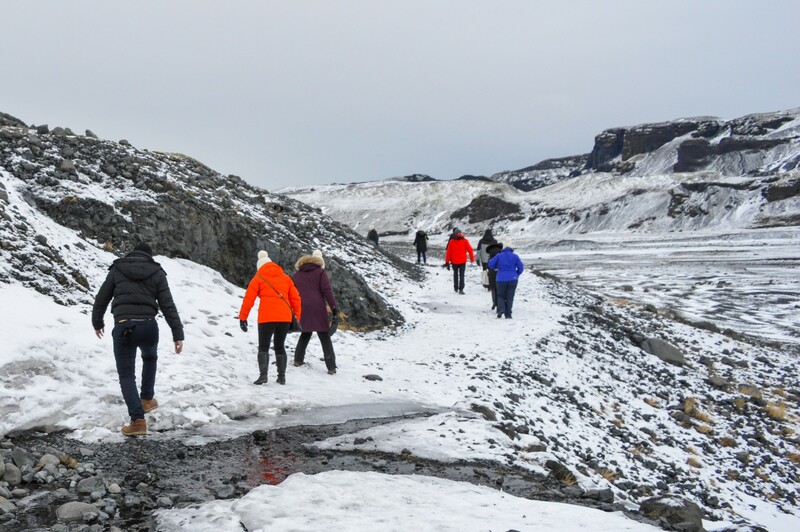 Finally you will reach a point where the toe of the Sólheimajökull glacier comes into view and it’s an incredible sight to behold. The photos I took here simply don’t do it justice nor do they really show the scale of glacier. You can see however that there are 2 different routes that can be taken to the glacier – the route that we took which takes you along an upper ridge or the alternative route along the valley floor to the toe of the glacier. The Sólheimajökull glacier sits between the Katla and Eijafjallajökkull volcanoes, the latter of which was made famous for grounding flights across Europe in 2010. 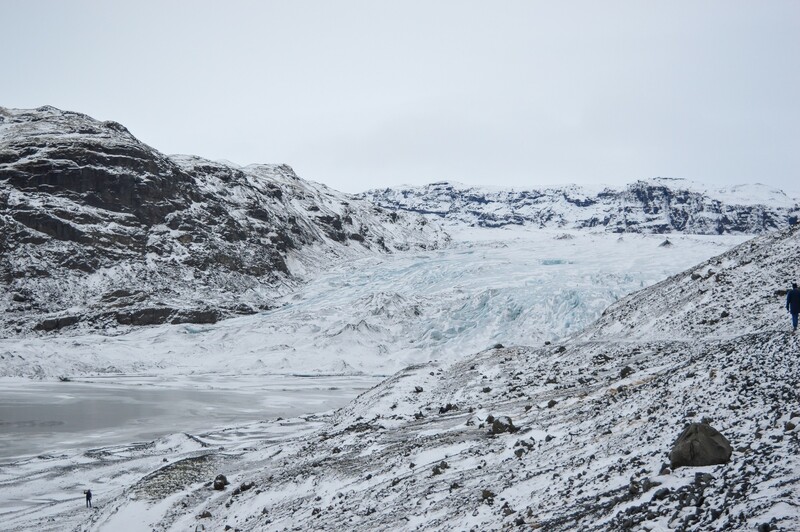 The glacier forms part of the larger Mýrdalsjökull glacier and is receding at a rapid rate due to rising temperatures. Seeing a glacier with your own eyes really is one of the most incredible experiences. We’ve seen a few over the years with the most recent one being the Athabasca glacier in Canada but the one at sólheimajökull is by far the most impressive and dramatic. 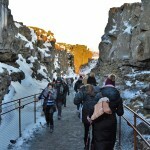 If you pay a little extra you can walk both on and under the glacier which although I fully expect would be an incredible experience, does come at a higher cost so we gave it a miss on this occasion – Iceland is expensive enough as it is even before upgrades! 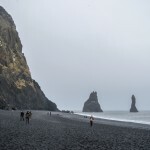 If you’re heading to Reykjavik this year for a city break I can’t recommend doing the South Island Tour enough and seeing the different sights along the way, especially because of the hike you’ll get to do at sólheimajökull. 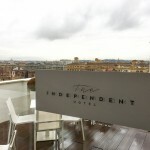 We absolutely loved our visit and know you’ll be leaving with fond memories too! 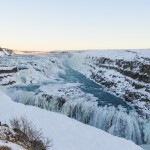 Are you planning a list of things to do Iceland and considering a glacier experience? Let us know in the comments below!